I’m fascinated with stories that seem like they could be realistically true. 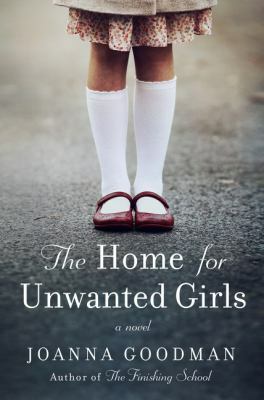 A lot of realistic fiction sometimes pulls me out of the story, but The Home for Unwanted Girls kept me engaged in their realistic explanation of a pregnant young woman in 1950s Quebec and the subsequent expectations of her parents and society. The Home for Unwanted Girls by Joanna Goodman is a suspenseful novel that spans decades filled with love, lies, and many secrets. In 1950s Quebec, both the English and French find themselves living in uneasy and unsteady civility. Maggie Hughes is stuck in the middle of this issue with an English-speaking father and a French mother who seem to barely tolerate each other despite their large family. Maggie has grown up with high expectations thrust on her by her father. She’s expected to take over her father’s business and marry a good man, NOT the poor French boy named Gabriel who lives on the farm next door. Readers can practically predict on their own what will happen next because fictional young women live to defy their father’s wishes. Maggie soon finds herself enamored with Gabriel. When she becomes pregnant at fifteen, Maggie’s parents tell her that she has to work to get her life back on track and that means she has to put her baby up for adoption. Baby Elodie is put up for adoption and grows up in Quebec’s orphanage system which is impoverished, dirty, and rife with issues. Elodie is bright and determined to survive the horrible treatments the nuns put her through all while anxiously waiting for her mother to swoop in, find her, and adopt her. With this precarious existence, Elodie survives, but things only manage to get worse when a law is passed that says that psychiatric hospitals will earn more funding than orphanages. Thousands of orphans in Quebec are now declared mentally ill, are shifted to other orphanages-turned-psychiatric-hospitals, and are forced to take care of legitimate psychiatric patients that are bused into the newly minted psychiatric hospitals. Elodie is finally released when she turns seventeen, but her freedom is a difficult adjustment. This new normal is an alien experience, but luckily Elodie has friends that are helping her adjust. Maggie has never been able to forget the daughter that she was forced to give up when she was fifteen despite her family’s repeated wishes to move on with her life. Maggie married a businessman desperate to start a family. Living with him has been easy, but when he keeps pushing her to have a baby, Maggie is forced to confront him on their different wishes. Around the same time as the rocky part of her marriage comes to a head, Maggie unexpectedly reconnects with Gabriel after years of separation. Maggie is forced to choose between Gabriel and her husband. As this novel progresses, Maggie and Elodie’s stories intertwine in unexpected ways, leaving readers to hope that each time circumstances will result in their meeting. Maggie hopes to find Elodie and quickly realizes that she needs to make a better, more focused effort to do so. Throughout this novel, Maggie works to figure out how to balance multiple life truths. The truth that was taken from her and Elodie when Maggie was fifteen haunts her. Maggie yearns for her family to be together and for everything to be out in the open. I had read Celests Ng’s first book, Everything I Never Told You, when it first came out and it captivated me. The story of a family torn apart by the disappearance and death of the middle child, Lydia, captures the rifts and examines the ways that family members struggle to try to understand each other. 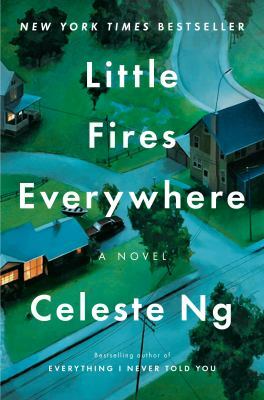 When I saw that Ng was coming out with another book entitled Little Fires Everywhere, I knew I needed to read it because Ng has the ability to craft domestic fiction that is both engaging and realistic that I simply can’t put down. Little Fires Everywhere by Celeste Ng tells the story of the residents of Shaker Heights. Shaker Heights is a suburb of Cleveland, Ohio, that prides itself in its ability to plan. This progressive suburb has rules for everything: the colors of the houses, the layouts of the roads, the types of houses, the schools, etc. Every little thing is laid out, even the jobs and lives that residents are expected to lead. This highly structured, yet surprisingly calm and tranquil, community is normal to the residents that live there, especially longtime resident Elena Richardson. Leaving for college, coming back with a husband, raising four children, and working at the local paper are all things that were expected from Elena. The order and sense of community are both major appeals for Elena in Shaker Heights. She believes that the rules are there for a reason and lives her life making sure everyone around her follows the rules. Elena’s sense of security is shaken when Mia Warren and her teenage daughter Pearl move into town. Mia is a single mother who makes a living as an artist. She and Pearl move around every couple months, but Mia promises Pearl that Shaker Heights is the place they will stay forever. Arriving in town, Mia rents a house from the Richardsons and soon both families become tangled together. All four Richardson children find Mia and Pearl to be mysterious and are quickly drawn to the pair. The closer the two families become, the more questions come to the surface. Mia’s arrival in Shaker Heights begins to unsettle the delicate balance of rules and order that the community relies on to survive. To start, Mia has an untraditional job, a very mysterious part, and a disregard for the standard of living that Elena holds dear. Mia keeps part of her past hidden for good reason and some of the Richardson family members take it upon themselves to figure out why. Mia’s disruption of the status quo comes to a head when Mia and Elena find themselves at opposite sides of a custody battle that’s splattered all over the news. An old family friend of Elena’s is trying to adopt a Chinese-American baby. Mia finds herself championing the biological mother, while Elena is firmly on the side of the adoptive parents. Elena is determined to do anything for her friend, even if that means digging into Mia’s past to discover her secrets and motives. Little does she know that her obsession will quickly unravel her life and the lives of everyone around her in abrupt and unforeseen ways. We all remember the “March of Progress” poster from grade school science class, used to illustrate the straight-line evolution of Homo sapiens from our ancient ancestors. From Australopithecus to Homo habilius and then to the assumed apex of human evolution – us. But what if evolution wasn’t a straight line? What if suddenly, somehow, it doubled-back on itself, returning our species to our most ancient origins? 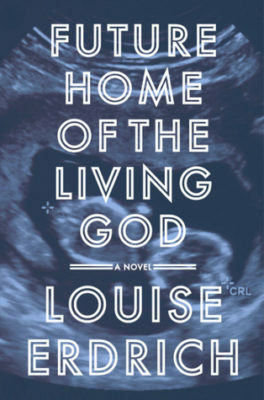 It is in this speculative world that Louise Erdrich’s latest novel Future Home of the Living God is set. Taking place in an unspecified time in the near future, the novel is presented as the journal of 26 year-old Cedar Hawk Songmaker, written to her unborn child. Cedar, the adopted daughter of liberal Minnesota parents, finding herself pregnant, is compelled to seek out her Ojibwe birth parents, ostensibly to discover any genetic problems that might affect her baby, and in a larger sense, to find her own identity. This familiar journey of personal discovery is set against a tumultuous time in which the future of the earth is gravely in doubt as evolution appears to be running backward. Plants and animals are born “wrong,” throwbacks to their genetic ancestors. Human babies and their mothers are dying at an alarming rate, and those infants that do survive are abnormal, with characteristics more similar to our genetic ancestors. The planet is heating up, with harsh Minnesota winters a fond, distant memory, and political chaos is rampant. Soon, pregnant women are encouraged, then forced, into “unborn protective centers” – prisons, really – and a “womb draft” is instated. As Cedar’s pregnancy progresses, she confesses to her baby that she isn’t sure if he (and she is sure it is a he) will have the ability to read the journal that she is writing, if he survives at all. Cedar soon becomes a fugitive, then a prisoner, then fugitive again, seeking sanctuary with her birth family with the help of her adoptive parents. If this all sounds strikingly familiar to The Handmaid’s Tale by Margaret Atwood, you would be correct. In her author’s notes, Erdrich writes that she began the novel in 2002, then set it aside, picking it up again after the most recent election. Future Home of the Living God is Erdrich’s first speculative fiction book, but still closely shares the Native American culture she has explored in her past works. The premise of backwards evolution and how it might bring the end of civilization is compelling – it’s what interested me in the book in the first place – and it reads like a thriller (I read it all in one sitting). But at a slim 267 pages, it reads almost too fast, with not nearly enough time spent exploring the circumstances of the world it is set in, the stories of Cedar’s families, or her baby’s father. Since the story is told in the form of a journal, which does lend an intimacy to the narrative, many things go unsaid, or dropped entirely. Even the mystery of Cedar’s birth and adoption – the revelation of which is emotionally catastrophic for her – is quickly dropped to move onto the next crisis. At a few points, I thought that the plot was going in one direction, and then, disappointingly, found it dropped. Perhaps my expectations were overly influenced by my usual science fiction preferences. Some the misdirections reminded me of the short story “Before” by Carolyn Dunn (contained in the excellent collection After edited by Ellen Datlow) an end-of-the-world tale of a plague that leaves only those with Native American ancestors alive. But, that is not the case here. 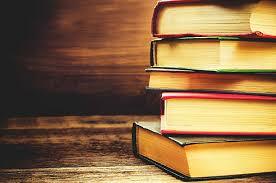 Which isn’t to say the novel isn’t an exciting and interesting read. There are thoughtful explorations of faith (Cedar is a recent convert to Catholicism), the origin and evolution of our species, how and why we became human, and the consequences of ignoring and abusing our environment and each other, all alongside Cedar’s journey into motherhood and her birth family. The ending might come abruptly, but it is well worth the journey. What would you do if you found out the life that you were living was a lie? If the life your parents or grandparents have lived was based on a lie? What if your entire family history was based on a lie? This is the true story for some children whose parents don’t tell them that they are adopted either until later in life or after the parents die. Such events can sometimes be traumatic, but it all depends on the child’s character and the sense of identity that they have developed. Will the news that they are adopted be easily accepted or will it throw their lives into upheaval as they work to find their birth parents and their biological heritage? 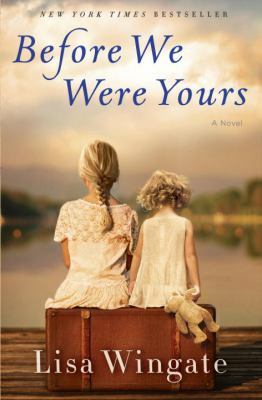 Those questions are all prevalent through Lisa Wingate’s newest book, Before We Were Yours. Before We Were Yours begins in Memphis, Tennessee in 1936. The five Foss children are anxiously awaiting the birth of their youngest new sibling while their mom labors inside their shanty boat home. Fearing for the mom’s life, the midwife demands that she be taken to the hospital to give birth or the babies and the mom will die. Shuttling her off to the hospital in a boat, the dad tells the eldest Foss child to watch over the siblings and stay at the shanty boat until they come back. Men show up in the middle of the night however and the Foss siblings’ lives are forever changed. Flash to the present and Avery Stafford has come home to help her parents through her father’s cancer treatment and to also be groomed to possibly take over her father’s political career. At a particularly moving photo-op in a nursing home, Avery meets a woman who immediately captures her interest. The things this woman says to her has Avery shaken to the core. Avery decides that she needs to learn more about this mysterious woman’s life and thus begins a journey that will change her family’s history forever. Secrets never really stay secrets after all. This novel shifts back and forth between the Foss children in the 1930s and Avery Stafford in the present. I really enjoyed the flip-flop between the two stories as the story of the Foss children created a deep swirling mystery around the woman in the nursing home and Avery’s grandmother. This book had me doing two things: learning more about Georgia Tann and the Tennessee Children’s Home Society AND looking into my family’s history to see what I did not know already. Last fall I wrote about Maria Nhambu’s memoir, Africa’s Child. You can read my blog about it here. It tells the story of how she grew up as an orphaned, mixed-race child in Tanzania. The first book in the Dancing Soul Trilogy, Africa’s Child is as heartbreaking as it is inspiring. It leaves you wondering where she went from there. 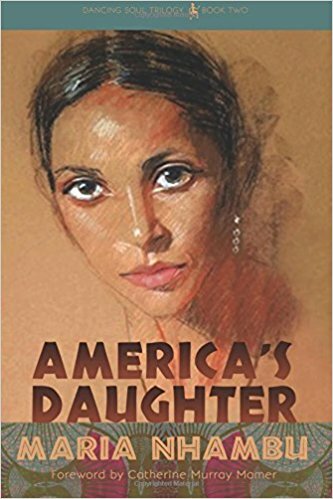 I am thrilled to share that the second book, called America’s Daughter, has been published. In it, Nhambu chronicles what it was like for her leaving Africa. She was eighteen years old with a newly-adoptive mother who was barely four years older than her. She found a vastly different culture in America and began building a new life in it. Laugh and cry with her as she recalls the many differences between Tanzania and Minnesota. She reveres education as her key to escaping a life of poverty and oppression. It is no surprise that she chose a career as an educator (at one point, she taught a soon-to-be famous musician named Prince Rogers Nelson.) Nhambu has a love for music, especially African music. She went on to create a program called Aerobics With Soul. It incorporates African dance into a fitness workout. Nhambu is a gifted storyteller whose candor has made me cry, then cheer for her. Come meet a fascinating woman whose indomitable spirit has proven that love truly does conquer all. 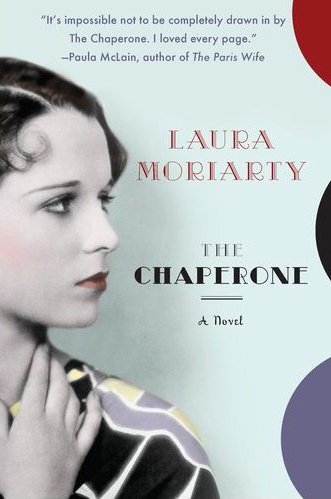 The Chaperone is a captivating novel about the woman who chaperoned an irreverent Louise Brooks to New York City in 1922 and the summer that would change them both. Only a few years before becoming a famous silent-film star and an icon of her generation, a fifteen-year-old Louise Brooks leaves Wichita, Kansas, to study with the prestigious Denishawn School of Dancing in New York. Much to her annoyance, she is accompanied by a chaperone, who is neither mother nor friend. Cora Carlisle, a complicated but traditional woman with her own reasons for making the trip, has no idea what she’s in for. Young Louise, already stunningly beautiful and sporting her famous black bob with blunt bangs, is known for her arrogance and her lack of respect for convention. For Cora, the city holds the promise of discovery that might answer the question at the core of her being, and even as she does her best to watch over Louise in this strange and bustling place she embarks on a mission of her own. And while what she finds isn’t what she anticipated, she is liberated in a way she could not have imagined. Over the course of Cora’s relationship with Louise, her eyes are opened to the promise of the twentieth century and a new understanding of the possibilities for being fully alive. Bad Behavior has blocked 1787 access attempts in the last 7 days.